Melissa & Doug Sunny Patch Bag Of Bugs Only $6.21 Plus FREE Shipping! You are here: Home / Great Deals / Amazon Deals / Melissa & Doug Sunny Patch Bag Of Bugs Only $6.21 Plus FREE Shipping! Head over to Amazon and pick up the Melissa & Doug Sunny Patch Bag Of Bugs for Only $6.21 Plus FREE Shipping! 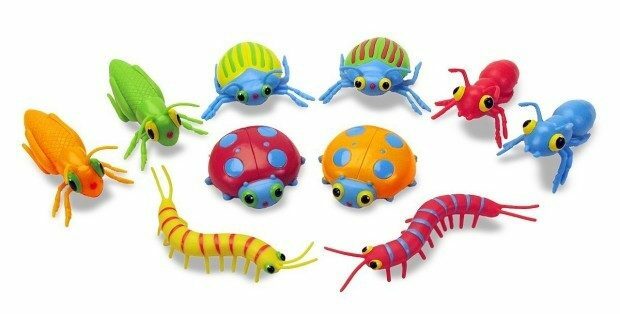 Bug collectors will be delighted with these brightly colored bugs! Stripes, spots and solid colors make these ten bugs extra interesting to budding bugologists!